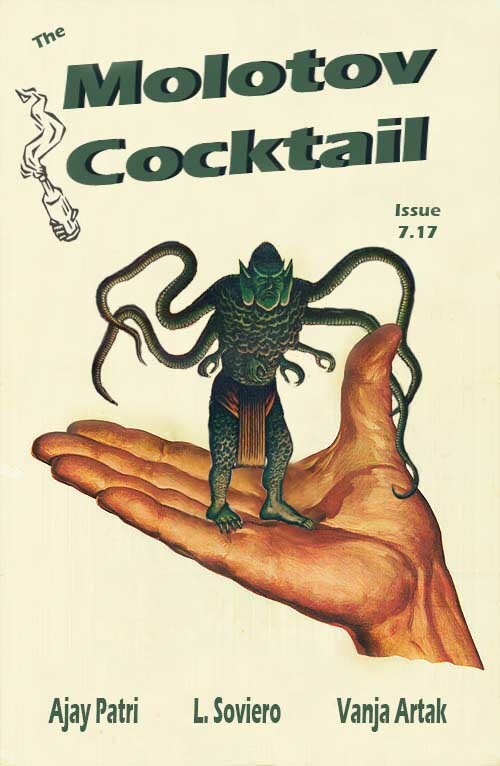 You’re going to want to get your hands on Issue 7.17. This go-round, we’ve got good deeds not going unpunished, orally-fixated thieving elves, and funerals for strangers. We’ve also got a fully international roster as well, with our writers hailing from India, Denmark, and Australia. Still a couple of days left before our Flash Doom contest soft deadline. Get those entries in by 11:59pm PST on Tuesday, January 10th (though you can expect our customary Procrastinator’s Special to follow). Our Flash Doom issue will coincide with the Trumpocalypse, premiering on January 20th. And you can now get your hands on our second annual Prize Winner Anthology print issue here.